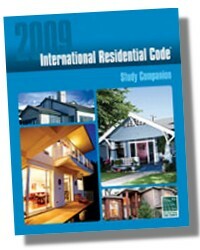 The 2009 IRC Study Companion, is a comprehensive study guide to help you better understand the 2009 International Residential Code. It covers select topics of the code and includes code text, commentary and illustrations representing the provisions under discussion. Eighteen study sessions provide practical learning assignments. All study sessions contain specific learning objectives, commentary and illustrations and a list of questions summarizing the key points for study. Exercises and quizzes are provided at the end of each study session. Readers can measure their level of knowledge by checking the answer key provided in the back of the book. A total of 630 questions and answers are provided! 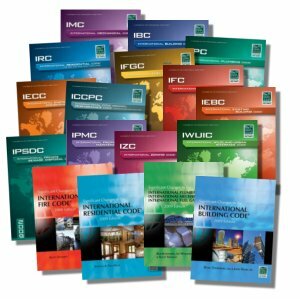 This study companion provides practical learning assignments for independent study of the provisions of the 2009 International Residential Code (IRC®). The independent study format affords a method for the student to complete the program in an unregulated time period. Progressing through the workbook, the learner can measure his or her level of knowledge by using the exercises and quizzes provided for each study session. The workbook is also valuable for instructor-led programs. In jurisdictional training sessions, community college classes, vocational training programs and other structured educational offerings, the study guide and the IRC can be the basis for classroom instruction. All study sessions begin with a general learning objective specific to the session, the specific code sections or chapter under consideration and a list of questions summarizing the key points of study. Each session addresses selected topics from the IRC and includes code text, a commentary on the code provisions, illustrations representing the provisions under discussion and multiple choice questions that can be used to evaluate the student’s knowledge.